The last thing Gaetano Leonetti wants is to be shackled in marriage but, to become CEO of his family's bank, his grandfather has decreed Gaetano must find a nice, ordinary woman to wed. Convinced his grandfather is mad, Gaetano sets about proving him wrong with outspoken housekeeper Poppy Arnold. But it's not long before self-sacrificing Poppy charms his grandfather and Gaetano's stuck with a union he didn't want and a bride he sinfully craves! Having set her up to fail, can he really take the precious gift of her virginity? It's been seven years since Sierra Rocci left Marco Ferranti on the eve of their convenient wedding. Now she's back in Sicily to collect her inheritance – only to find out everything that bears her name belongs to Marco! Marco thought revenge would taste sweeter, but it's not as sweet as the memory of Sierra's shy kisses. He should turn his back on her this time, but Marco needs Sierra to help with his latest business venture. Soon having his runaway bride back by his side isn't enough... making Marco determined to claim the wedding night that never was! 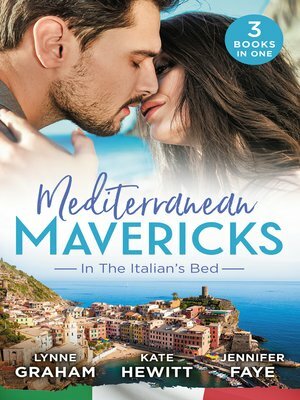 Planning her sister's Italian wedding only reminds Jules Lane how far away she is from finding her own true love. And worse, she's doing it alongside the brooding, mouth-wateringly handsome best man, Stefano DeFiore! Having seen the destructive power of love, Stefano has no time for weddings, but Jules's smile is captivating! Making her feel like the most beautiful woman in the world is one thing, but can he give this blushing bridesmaid a happily-ever-after of her own?